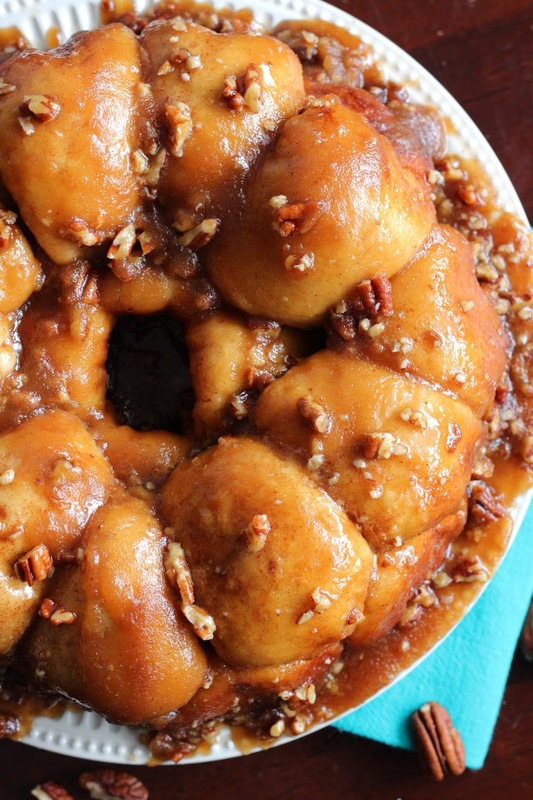 Gorilla Bread is basically Monkey Bread that is stuffed with cream cheese. This idea came from Paula Deen, but she uses biscuits instead of rolls. I am a HUGE roll lover, so of course I had to try making a version with Rhodes rolls. 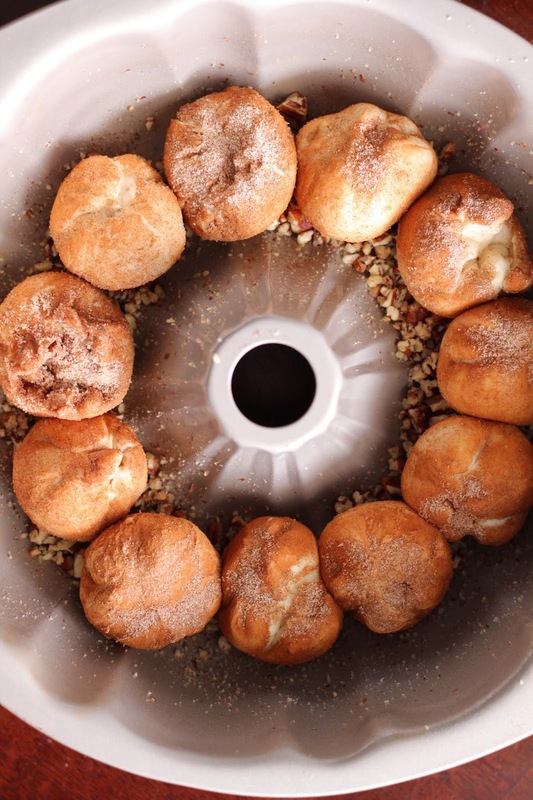 If you like ooey, gooey, soft and chewy rolls and cream cheese, then you will love this recipe. 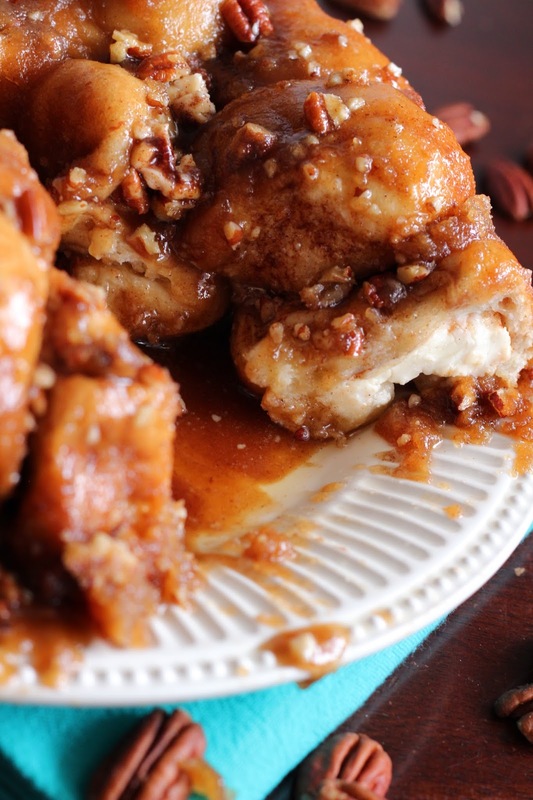 The rolls bake up beautifully and pull apart into individual sticky amazing caramely goodness. I cut an 8 oz. block of cream cheese into 20 pieces to stuff inside each roll, but you could reduce that to 4 oz. if you prefer less cream cheese. A flavored cream cheese, such as honey nut would also be fabulous in this (I would use around 1/2 teaspoon or so per roll). This bread is delicious and so hard to stop eating. Enjoy! First, get all of the ingredients ready. 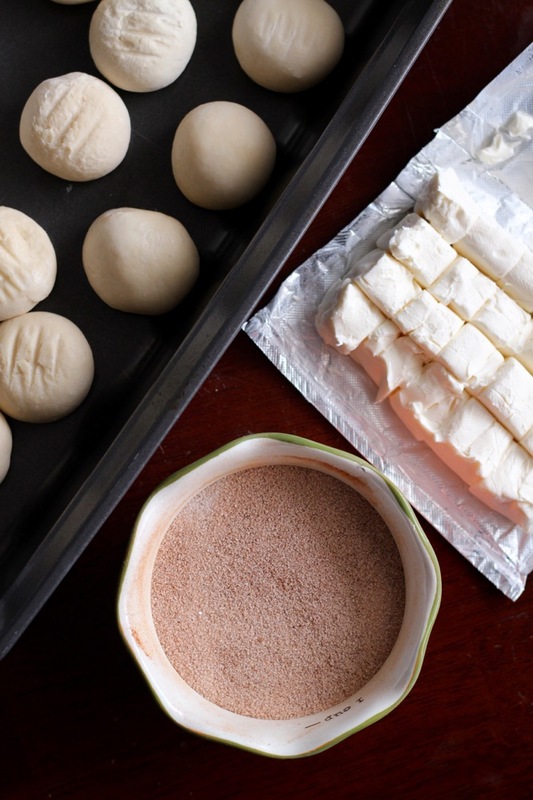 You will have thawed rolls, cinnamon sugar mixture, cold cream cheese (make sure it's cold or it can be a little messy to work with) and then you will want to have your butter and brown sugar melting in a small saucepan on the stove. Next, you want to flatten each thawed roll. The easiest way for me to do this is to put all the thawed rolls on a large cookie sheet and then flatten them with the palm of my hand. Sprinkle each flattened roll with some of the cinnamon and sugar mixture and then top each with a cube of the cream cheese. Pull up the sides of the rolls around the cream cheese to form a ball. Pinch the top to seal. 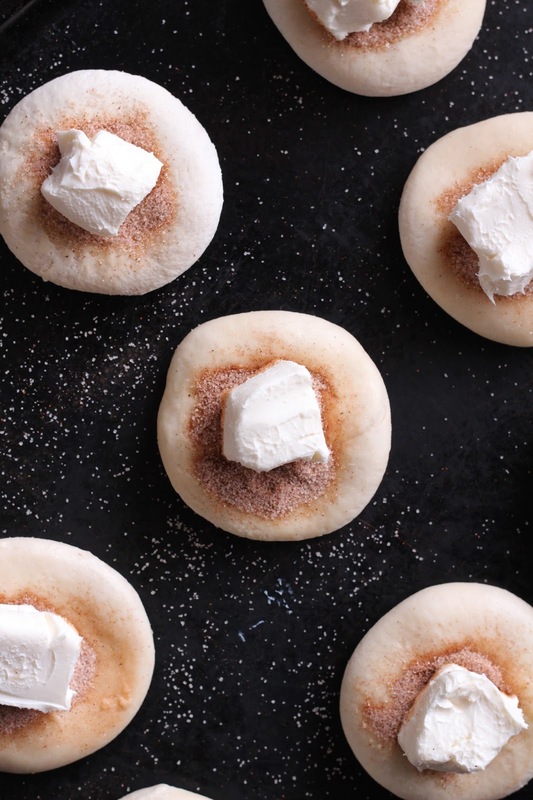 Then, roll each dough ball into the remaining cinnamon and sugar mixture. 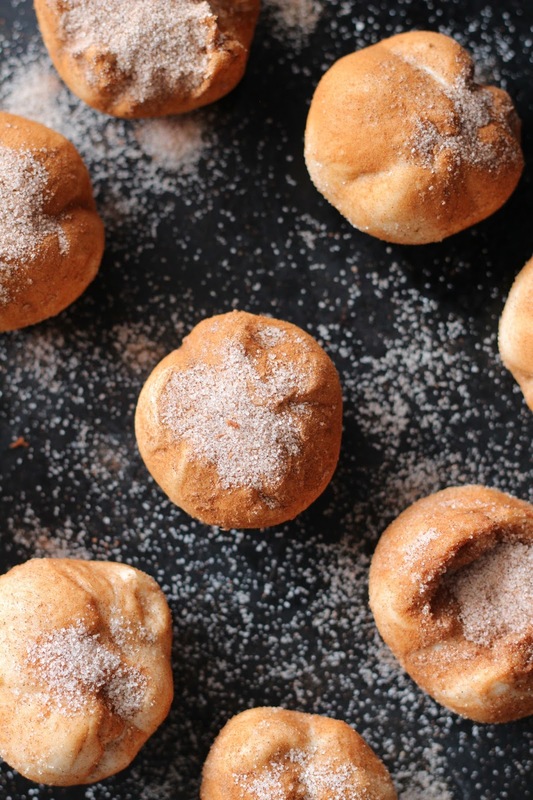 You will have leftover cinnamon and sugar. 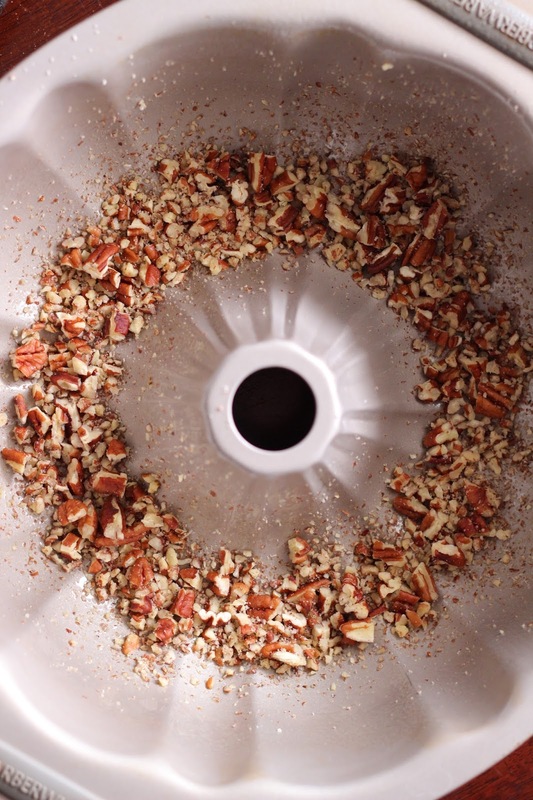 Place around 1/2 cup of chopped pecans into the bottom of a greased bundt pan. 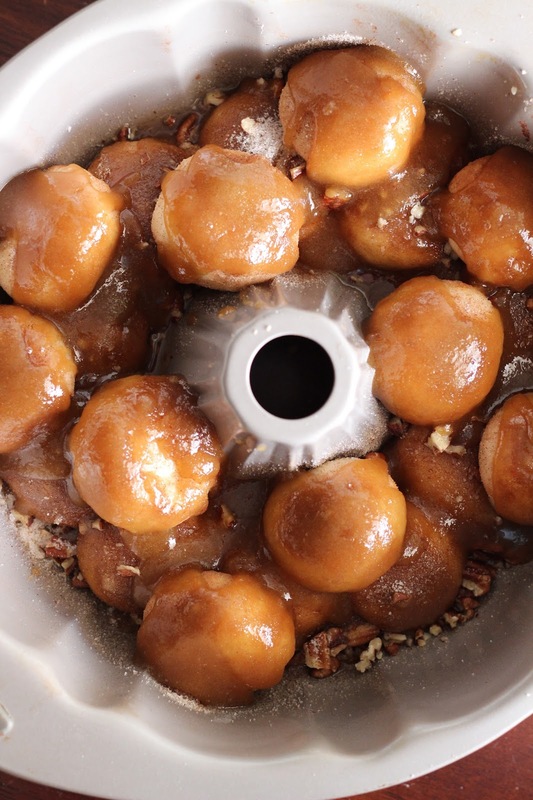 Place half of the rolls into the pan, on top of the pecans, seam side up. Pour half of the melted butter/brown sugar mixture over the rolls and top with the remaining chopped pecans, then top with the remaining rolls, seam side up, followed by the remaining melted butter/brown sugar mixture. Cover pan with plastic wrap and allow to rise for about 30 minutes. Rolls will be almost doubled in size. Bake, then invert pan onto a plate and serve. Click HERE to get this delicious recipe over at Rhodes Bread Blog! This post is sponsored by Rhodes Bread. All opinions are my own and I have always been a fan of Rhodes Rolls. Thanks for allowing me to work with brands that I love. Love that there's cream cheese stuffed in each bite! This bread sounds incredible! 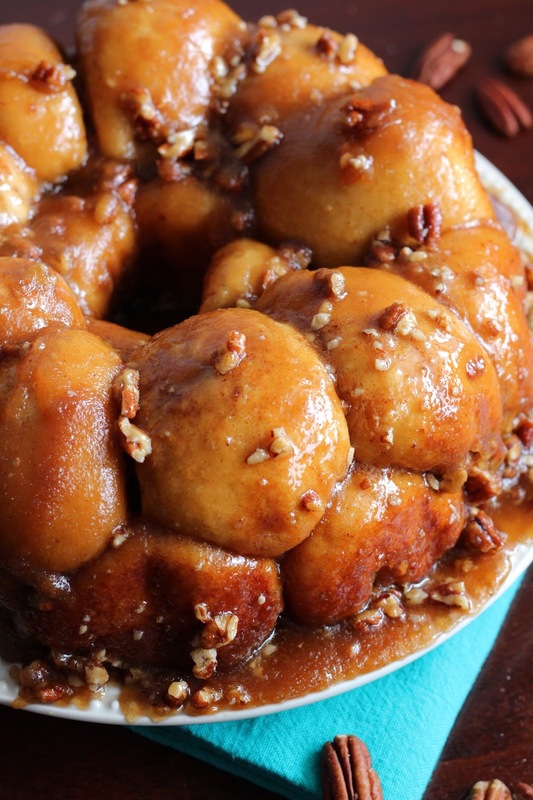 Ooh, I have never tried monkey bread, but I think I like the sound of gorilla bread!